Baking soda: This is one of the most versatile and simple home cleaning products you can find, and can be used for a variety of things from cleaning your stove-top to removing smells from your refrigerator. Try it with a combination of other eco friendly ingredients like vinegar to remove stains from literally anything. Vinegar: Did you know that keeping your vegetables and fruits soaked for a few minutes in a water and vinegar solution is a good way to rid them of pesticide residues, and can even help remove the waxy coating that has become a standard feature of today’s apples? Used in combination with baking soda, it is a very effective household cleaner that can even be used to clean your toilet bowls. Lime/Lemon: It’s acidic content makes it a good cleaning agent, as well as a good disinfectant. 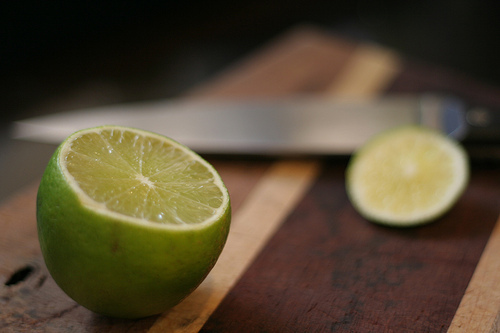 A combination of olive oil and lemon juice can even be used as a homemade wood polish. See this simple recipe here and give it a try. Plants: Keeping houseplants is a great way to clean up the atmosphere of the room as they help by providing oxygen as well as to reduce bad odours. Here’s a great list of plants that you can try growing indoors. Hot water: From cleaning your pans to swabbing your floor, hot water can replace a lot of chemical home cleaners very effectively, with just a little help from vinegar and baking soda for stains. You can add a drop of natural oils like citronella to help with the mosquito menace as well as for that little bit of fragrance if you like it.